Think once more than 141 million people in China. Facebook has been able to bring more than 200 million people to their platform. Think once more than 141 million people in China. Facebook has been able to bring more than 200 million people to their platform. But the vast population of China is out of the way. Facebook shutdown in the country Facebook's plan to bring all the people to their platforms is very much stuck for this country. Facebook CEO Mark Zuckerberg is trying to enter China in many ways. But have not succeeded so far. Zuckerberg Mandrani learned the language. Tianman Square ran. Chinese girl got married. Profit is nothing to gain Zuckerberg is going to enter China with a different plan this year. According to a BBC report, Zuckerberg wants to open an office in China. Got license or permission for this. The initial step of Facebook's entry into the attractive Chinese market is being considered as one. Facebook says that the office they will be in China will be 'Innovation Hub' or innovative formulas. From here, the Chinese developers, inventors and startups will be assisted. In this way, Facebook attracts Chinese entrepreneurs to enter China. If the Facebook office is approved by the Chinese government, it will be the official presence of Facebook in the country. The New York Times has said that Facebook's Office registration information has been removed by giving reasons for possible complications from the Chinese government website. The world's largest social media market is called China. However, popular services like Twitter, Facebook and YouTube are closed there. Instead users can use Chinese local social networking sites like Webu, Renner, Yaku. The government can monitor them. 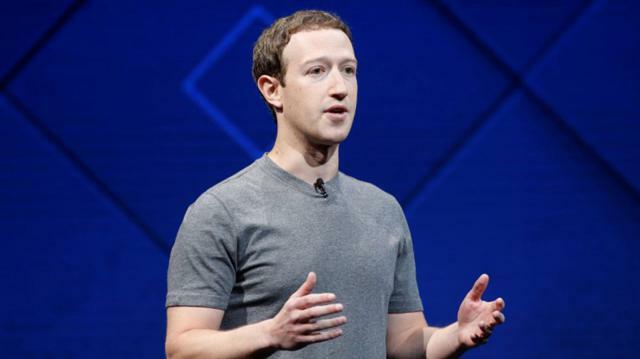 The BBC said in its report, Facebook CEO Mark Zuckerberg tried to enter the Chinese market several times. Chinese officials have also learned the language of the country. Before removing office registration information from the official website of China, it can be seen that office in the name of Facebook associate company in Hangzhou, southern southern city, is taken. It is said to invest 30 million dollars. Mark Zuckerberg, technology website Ricod said, "I have been trying to do anything in China for a long time." Facebook has closed in the country since 2009. There are efforts to make an innovative experiment in Facebook. If it is possible to do so, then there will be opportunities for doing business there. Facebook says that they have already launched Innovation Hub in France, Brazil, India and South Korea. They want to do similar hubs in China. Training, workshops and developers and entrepreneurs will be assisted here.